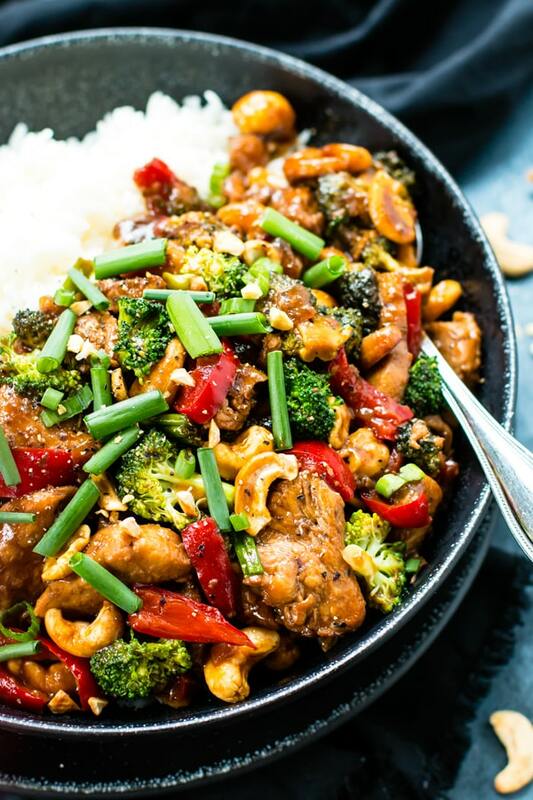 Cashew Chicken Stir-Fry is loaded with healthy veggies, chicken, and a delicious stir-fry sauce. You might just want to lick your plate with this gluten-free and low-carb cashew chicken! A few weeks ago I had the pleasure of going to hang out with my awesome sista-in-law. We had a night full of girly gab and painting toenails on the agenda. (My toenails ended up a brilliant shade of red thanks to Marissa’s toenail polish collection). And oh ya… some ah-maaaazing cashew chicken stir-fry was on the menu, too! When I arrived, Marissa was starting to prepare the cashew chicken. She whipped out a bottle of dry sherry… I was immediately enthralled. Why had I not tried cooking with sherry before? And what exactly is dry sherry? 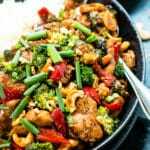 In the recipe below for this cashew chicken stir-fry, you will see that one of the main ingredients is dry sherry. Sherry can come in sweet and dry varieties, as well as everything in-between. Sherry is a wine that has been fortified with brandy… simply meaning the brandy has been distilled with the wine. Fortunately, there is not too much brandy added and it can still be found in most of your local grocery stores. *If you cannot find dry sherry you can try substituting it with hard apple cider, dry white wine, or vermouth in equal amounts. 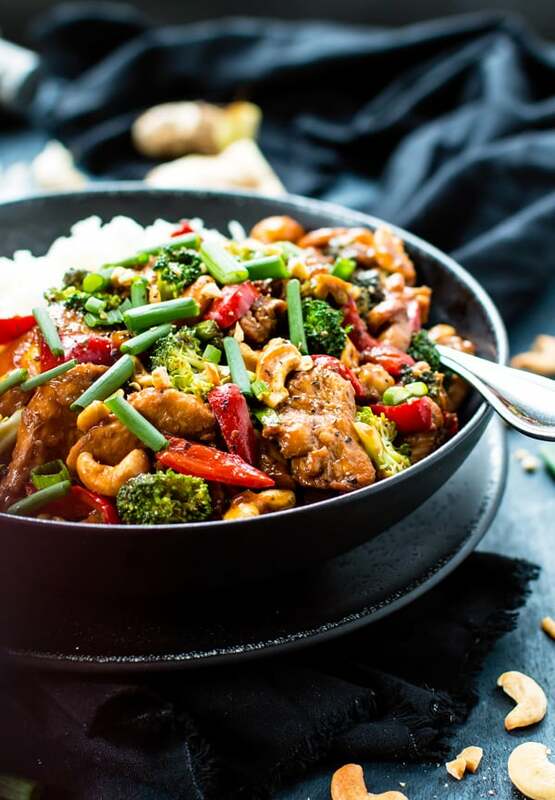 After enjoying a plateful of this flavor-packed cashew chicken stir-fry, and licking it clean, I knew this recipe would have to be re-created in the near future. I always enjoy any excuse to throw in extra veggies, for both nutritional reasons and appearances sake, so I loaded my version of this cashew chicken stir-fry with broccoli and bell peppers. 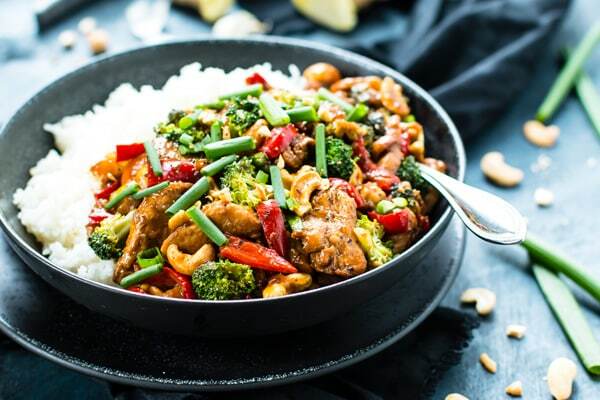 Cashew Chicken Stir-Fry is loaded with healthy veggies, chicken, and a delicious stir-fry sauce. It is gluten-free, low-carb and better than takeout! In a small bowl combine stir-fry sauce ingredients. Whisk to combine and set aside. In a gallon-sized zip-top bag place chicken slices. In a small bowl combine ½ teaspoon salt, ½ teaspoon pepper and 2 tablespoons tapioca flour. Sprinkle over chicken in bag and toss to coat. Place a large skillet or wok over medium-high heat with 3 tablespoons olive oil. Cook chicken for 5-6 minutes, flipping halfway through. Add garlic and ginger. Saute for one minute. Add bell pepper and broccoli. Reduce heat to medium and cook for 2-3 minutes. Pour sherry into pan and scrape the bottom of the pan for any loose pieces. Reduce heat to medium-low. Add stir-fry sauce and stir to combine. Sift remaining 2 tablespoons tapioca flour into pan and stir to combine. Sauce should begin to thicken. Turn off heat and stir in ¾ cup cashews. Serve cashew chicken over rice or cauliflower rice with remaining cashews and green onions. Enjoy! If avoiding soy, use coconut liquid aminos instead of the soy sauce. You can also use other red wine or chicken broth for non-alcoholic. Nutritional information is calculated without rice. 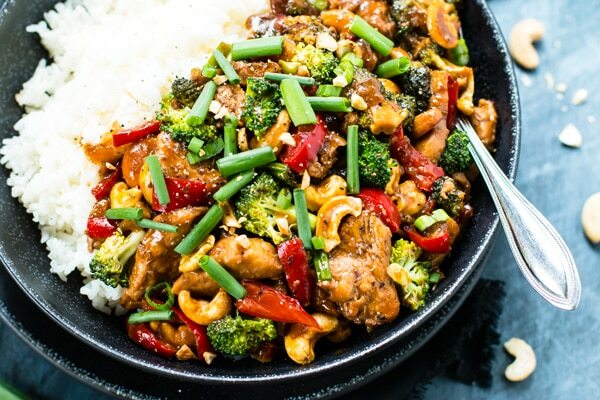 Want more recipes like this Cashew Chicken Stir-Fry? Delicious chicken recipe. pics are amazing too. inclusion of vegetables are really adding more flavour to it. You are most welcome 🙂 Please keep updating more..!!! 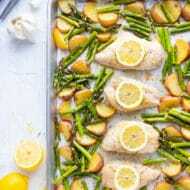 This looks like it would be a winner weeknight meal in my family too! Definitely going to have to add it to the weekly menu. Why do I even bother ordering takeout when I can make a tastier and healthier version at home? This cashew chicken looks BOMB! Lol… right?!? It’s pretty easy and SO good for you!! That chicken looks insanely good! Who needs takeout when you can make this? !